A sixteenth century farmhouse enjoying a wealth of period features, three reception rooms, farmhouse kitchen, five bedrooms, two bathrooms. Detached one bedroom cottage. Range of stone outbuildings and approximately 12 acres of land to include a beautiful garden. Superb views. 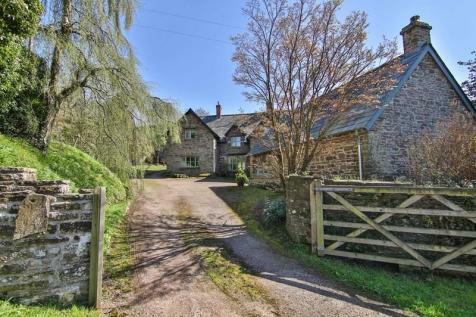 Sitting in grounds approaching an acre in size, this imposing five bedroom detached property, with accommodation over three floors, is full of history and character and enjoys a southerly aspect to the rear with glorious views across fields and open countryside towards Monmouth.